If we think from an entertainment perspective, one of the best experiences that someone can enjoy in the comfort of their home is crystal clear audio pouring from a great music speaker. A great sound system is beneficial in a home for a variety of purposes like listening to your best band, watching a great movie with a stereophonic effect or enjoying a football game lying on your couch. Whatever the purpose might be, you are sure to have an enjoyable experience with such fantastic sound system. This list of best bookshelf speakers under $500 are the first choice of today’s young generation. 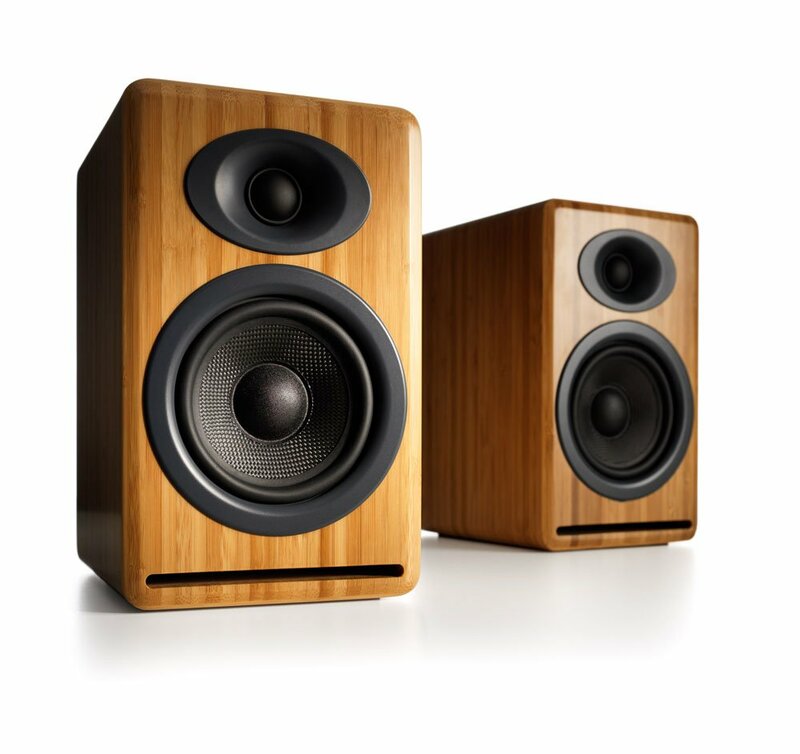 People from around the world are in need of great music speakers to fulfill the desires mentioned above, and bookshelf speaker is one of the most popular types. The uniqueness of these best bookshelf speakers under $500 lies in their size. With the advancement of time, mass production and technical improvement has made these woofer speakers easily affordable. An exclusive bookshelf speaker is specially made to make it fit in smaller areas like a small table, cabinet and a bookshelf. Sometimes they are suspended from the ceiling to provide compact spaces in a better manner. Good news is that, nowadays, you can find the wide range of best bookshelf speakers under $500. Below is a list of best bookshelf speakers under $500 for music that will fit your pocket in a suitable manner. However, this does not mean that these pocket-friendly speakers are of inferior quality. Rather, they are all produced with the best technology and are capable of emitting crystal clear sound without any noise meddling. 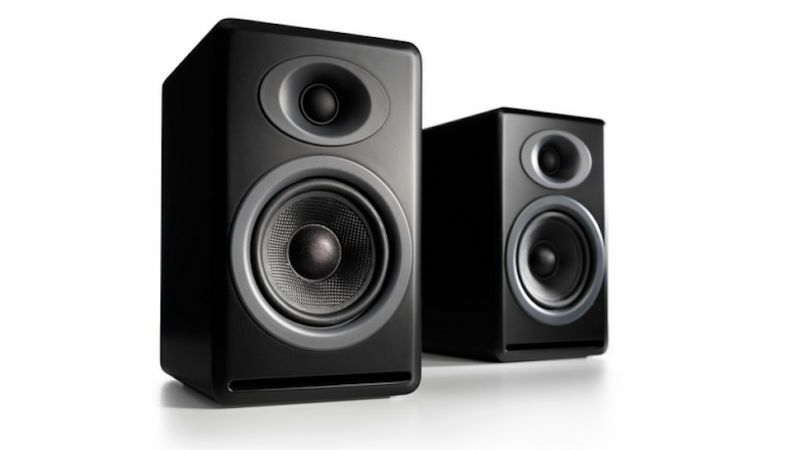 But, buying a good bookshelf speaker can be a daunting task as it is available in varied models and prices. However, getting one of a reliable branded bookshelf speakers will make you remain stress-free. If you are a first time user, then you need to know about the process of connecting your speaker to the amplifier. Now that you have got an introduction about the best bookshelf speakers under $500 and their amazing features let’s have a look at the best affordable bookshelf speakers of 2018. If you are looking for best sound speakers that will offer you an impressive sound experience and a cohesive, broad soundstage, this speaker is unmatched. What makes this speaker stand out from others is that they use stable mode radiator drivers as an alternative to tweeters. The BMR or balanced mode radiators are flat, and it helps in procuring movements. As a result, vibrations scatter sound wide and far. 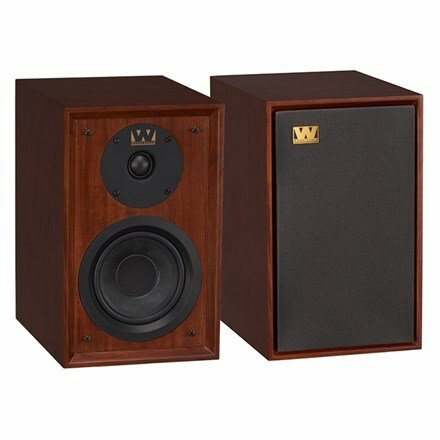 This unique technology makes these best bookshelf speakers of all time per pair for unusually any shape rooms because they don’t require a particular setup. For all general speakers, the crossover happens at 3 kHz. But, with this one of its kind of speaker the crossover occurs at 250Hz. This quality makes it more coherent. This bookshelf speaker for money is used using critical bracing and CAD technology. It helps to reduce distortion and maximize the quality of audio. They are bound to sound amazing with any music but excel in R&B, jazz, acoustic and classical. Moreover, they are extremely durable and affordable. Interested buyers can grab the same in online platforms like Amazon. 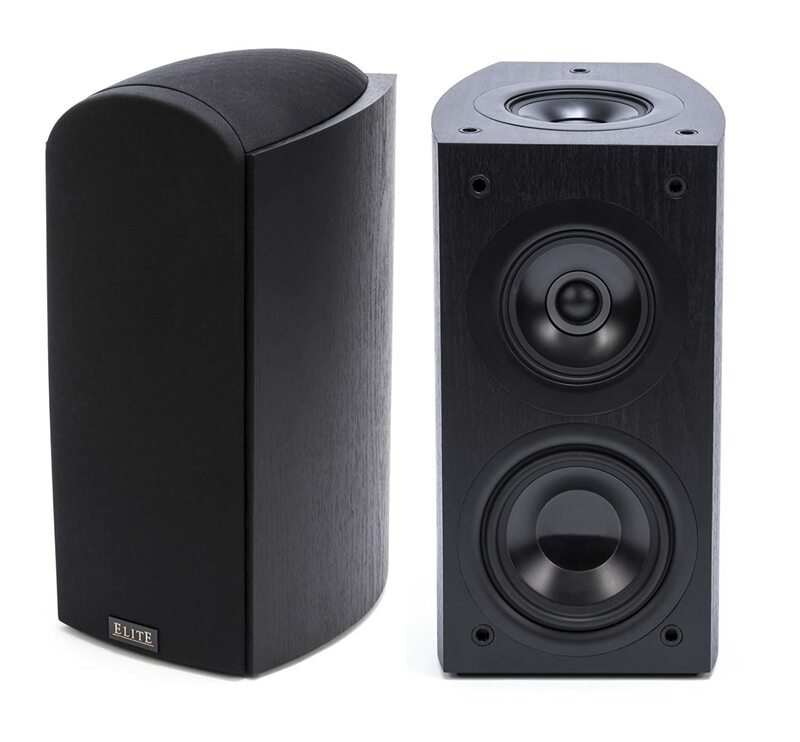 NHT Classic Two are one of the best bookshelf speakers under $500 which offer numerous advantages compared to the older version. Qualities of this speaker that deserves mention are improved soundstage, reduced distortion and an additional bass octave extension. Mid range of sound is sweet, warm and accurate. As a whole, this speaker delivers highly detailed, accurate, unbiased and uncolored sound in all frequencies. 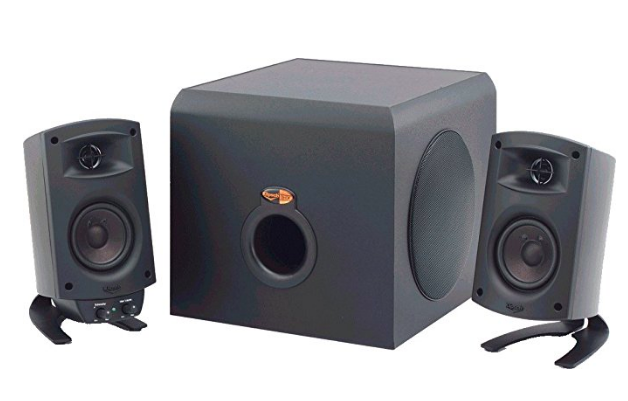 Moreover, this best buy bookshelf speaker comes with a large soundstage which makes music appear lively. Once you use this speaker, you will get the sense of surrounded music. If you are in need of well-balanced and clean sound while listening to all genres of songs, then NHT Classic two is worth giving a go. 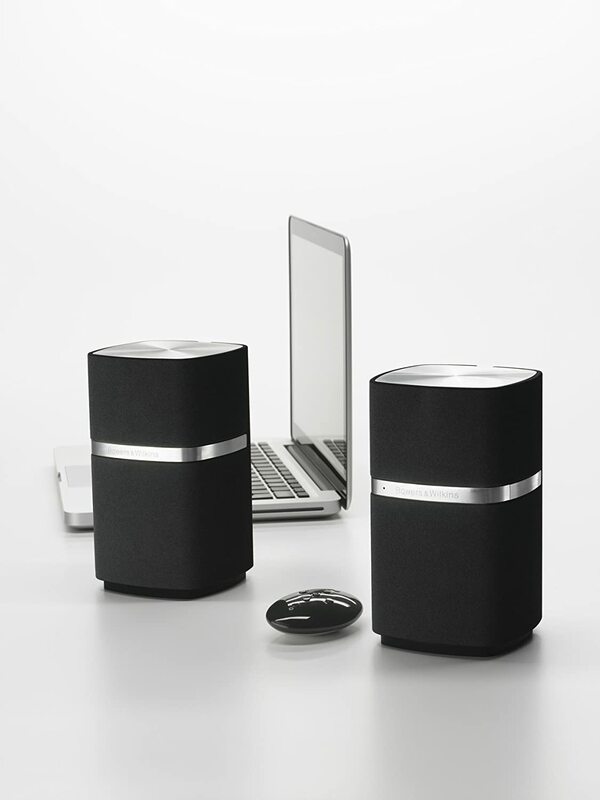 It is a lightweight music speaker, and each one weighs just 5.8kg. The frequency response of this different speaker is around 51Hz to 20 kHz. The best part about this speaker is that it is available at $248.41. You can easily buy this at several online stores. If you are in need of a high-performance bookshelf speaker at an affordable price then these Polk Audio speakers are a perfect fit for your bill. These best budget bookshelf speakers are in the mid range and are uncolored, detailed and rich. It is a perfect pick if you are listening to soft rock, jazz and classical. 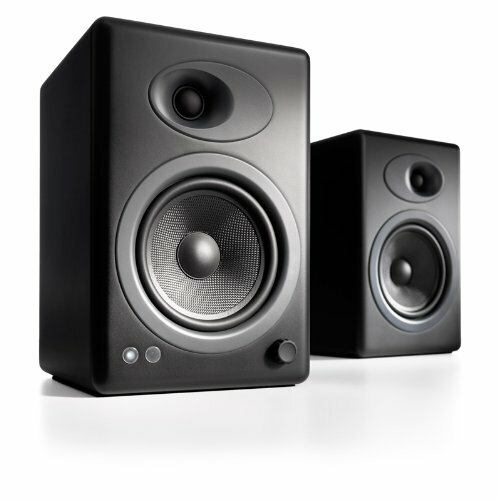 If played in a high-frequency range it will provide you detailed and clean sound without any sharpness that is available in other big cheap speakers. While turning from the mid to upper bass, a slight bump is seen; which gives more depth to the sound. Overall, the sound is soft and remains smooth through all ranges. The sound produced is vibrant, detailed besides being pleasing and warm. This quality suits every type of music, even hard rock. Since the bookshelf speaker is known to have high power, it is capable of handling high volume without affecting the sound. These high-end best bookshelf speakers under $500 come at $255.78 and are easily available at online stores like Amazon. Recognized for its class in the world of high-performance speakers, JBL’s innovative technology has paved the way ahead of its competitors. 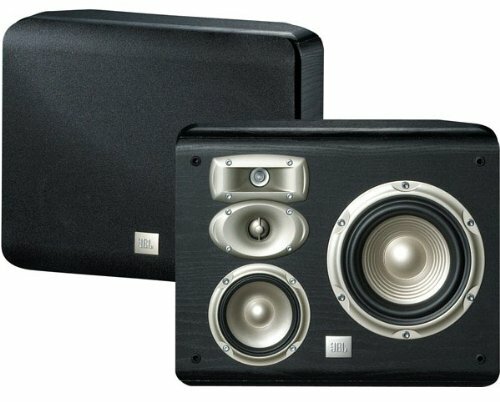 One such example is the JBL L820 which is not just a 4-way speaker system, but it is a 6-inch wall mountable loudspeaker. More importantly for achieving high frequency while transmitting sound waves, it utilizes the 1” titanium tweeter for incredible performance. To support the high-frequency routine, the three-quarter inch Mylar Dome which mounts on a Bi-radial horn acts as a magical component. The gold-plated binding spot and Aluminium waveguides add to better performance and credibility of the speaker system. Hardware for wall mounting features in the package. You cannot possibly go wrong in selecting this state of art technology loudspeaker system by JBL. 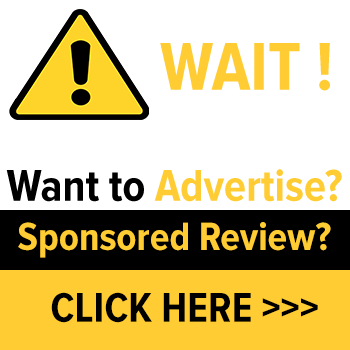 If you already have an amp and receiver then consider buying the Audioengine P4N Premium quality best bookshelf speakers under 500. It is a small yet powerful bookshelf speaker with excellent bass. It is no doubt a great feature as far as its size is concerned. Those little speakers produce a coherent, wealthy and full-bodied sound that is stunning. Such rich sound makes this a perfect pick for listening to classical music. It has an incredible accuracy which will make you capable of hearing even the smallest detail. Providing high volume without any distortion is the forte of such speakers. Such high-quality volume provides a vivacious soundstage which makes listening fun and easy. Out of the other audiophile speakers, these high-end best bookshelf speakers are worth giving a try. Buyers will get these exclusive speakers and different other speakers in most online platforms. This affordable bookshelf speaker is designed by the world-famous speaker manufacturer Andrew Jones. To elevate your listening experience, this speaker comes with Dolby-Atmos technology. With these speakers on your bookshelf, you will feel a thrilling 3D experience which will give you a broad listening experience. This music speaker is suitable and is used both as the rear channel as well as front-channel. These bookshelf speakers for money have been designed extraordinarily with an arc at the back side. Elite SP-EBS73 comprises of concentric drivers that protect music from getting muddled owing to some obtrusion. Many portable speakers have a two-way design which makes them compromise their performance. But, these speakers have a three-way design which represents each frequency band with separate low, mid and high range frequency driver. 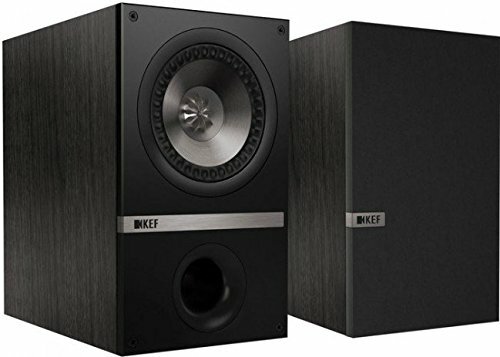 The three-way design makes these best bookshelf speakers under 500 dollars, which look elegant and are different from the conventional out of the mill design speakers. 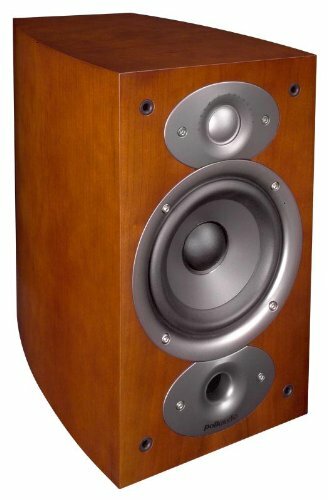 As these speakers are 10 inches wide and 15 inches long, it means it is little bigger in size than other traditional bookshelf speakers. Moreover, it is capable of offering a power output of 140 watts with an impedance of 4 Ohms. 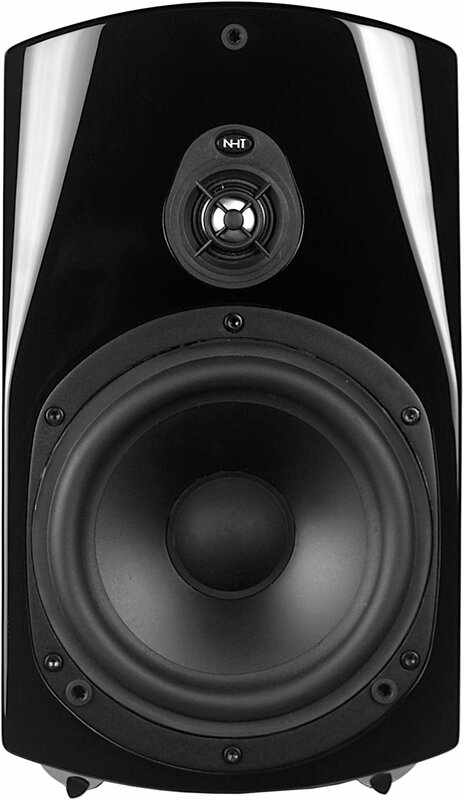 In technical terms Bower & Wilkins MM-1 are not exactly bookshelf speakers. 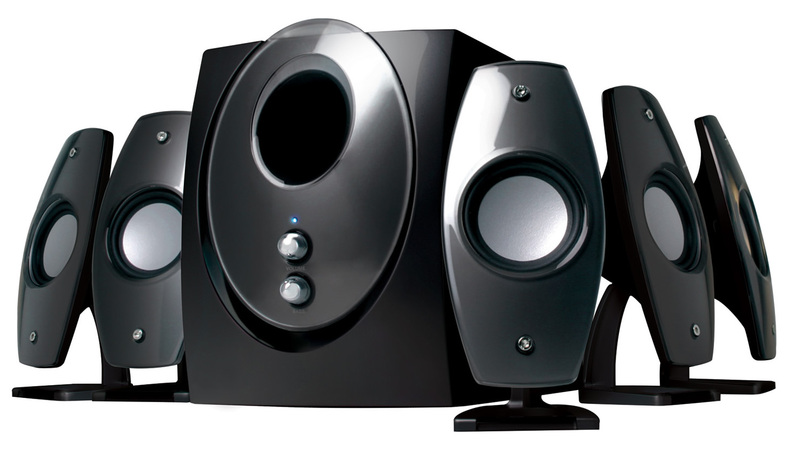 But, they are considered to be the best stereo speaker under $500 which it almost of the size of a bookshelf speaker. The design is what makes this speaker stand out and be unique. The straightforward and elegant design give it a classy look. You are sure to get attracted to this cute sized speaker right at first glance. The best part about this speaker is its inbuilt DAC, which makes it capable of digital to analogue conversion. It means once you purchase this speaker there is no need of buying an external audio converter. It automatically becomes active and the best bookshelf speakers under 500$ pair, having the conversions being handled by the speaker. The particular design of the bookshelf speaker makes it perfect for being used with your desktop computer. It comes with a sweet spot which ensures that you get detailed, sturdy and the perfect sound when you are near the speakers. Relatively high-quality sound is produced as these speakers come with a 3-inch woofer and 1-inch tweeter. Moreover, it comes with Digital Signal Processing technology which adjusts the sound balance consistently in agreement with the needs. It makes the music sound detailed and rich no matter how loud it is. The bass effect is also powerful. The very size and presence of these speakers make it unique. Its size is slightly larger than the traditional bookshelf speakers. This 12.6 inches tall high quality speaker boasts its stable and robust look. The bass unit comes with the exclusive woven Kevlar cone technology. It mounts on a solid die-cast chassis. This deadly combination delivers a rich sound with detailed bass. The output is mid-ranged with a performance that is super dynamic. Though they are slightly oversized but are perfect for your home. Color combination includes a classy touch of Mahogany Red Veneer which a grey tungsten cloth frame covers. These speakers weigh almost 40 pounds which make it the heaviest of all best bookshelf speakers with good bass. At the first go, the sound quality might not be that great. But it will take some time to kick in really. Buyers will get a pair of these great speakers at different online stores at cost-effective prices and features. KEF is known as a premium audio speaker whose price ranges from $400 and goes up to $7000. The particular technology associated with KEF Uni-Q Driver makes these speakers unique from the rest. Other features of these speakers are high bass performance, 30% extra cabinet space and gold-plated bi-wire terminals. The new bass drivers feature a new and rigid aluminium technology that is specially designed to increase the performance of the woofer. The best part about KEF Q100 is that it works as the main speaker or general or rear speakers. Its flexibility takes you to an audiophile world of sound at a pocket-friendly price. It is an amazing fact that you can get this at less than $500. The height of this sub woofer speaker is 11.8 inches and width is 7 inches. The frequency of sound generated by this speaker remains between 50 Hertz to 40,000 Hertz. So, isn’t this more than enough that you can expect from your loudspeaker. Moreover, the sound produced is amazing as it is well-defined and spacious with a high-frequency response and compelling mid-range. It has a three-dimensional sound effect which offers you the best listening experience. The design of this speaker is slightly different from that of the traditional bookshelf speakers. This speaker is one of its kinds. It comes with custom Kevlar woofer; hand-built cabinets and silk dome tweeter. The best part about Audioengine A5+ is that it is highly customised. Moreover, the design justifies the price perfectly. It comes with a package which includes dual audio outputs, a remote control and additional thermal control features. The width and height of this speaker are 7.75 and 10.75 inches respectively which gives it the perfect shape of a bookshelf speaker. You can place this best music speaker wherever you want but, make sure that there are at least 6 inches of free space around each one of them. These speakers are of the medium size but are bass heavy. It means they are not neutral. Rather, they happen to be more of the bass’ kind. However, this is not to say that you will hear any extra boom bass. The bass effect is almost like initially recorded music. Regardless of what type of music you listen to, it will make you smile. The most important part of this speaker is the external heat sink which allows the heat to get dissipated efficiently out of the speaker. It means these best bookshelf speakers will run for longer time. Now whenever you are in need of good and pocket-friendly bookshelf speakers, you can easily follow the above list. 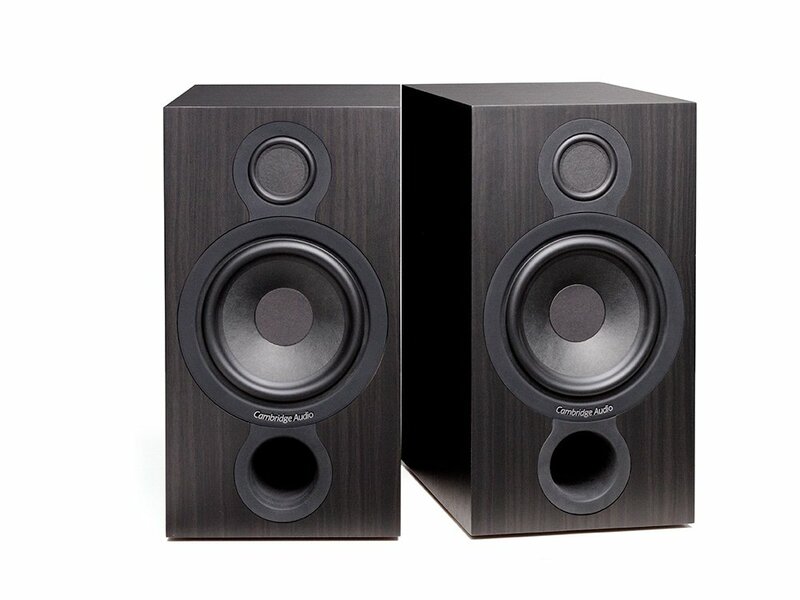 You will be happy to know that some of the best bookshelf speakers are available at $100. However, there is a vast difference in speakers coming at $100 and those coming at $500. The latter is considered to be the best in every manner of sound quality and output. Moreover, such speakers will last long and get better as you use them. Premium design is also another aspect of these speakers. All the speakers mentioned above are no doubt a great buy. You can choose whichever you want in accordance to your need after checking the design, output quality and specification.